I finished this beauty and I'm in no place to rate it right now because, you know, FEELS. (Probably 5 stars from me though) . I'm not going to say much about Lord of Shadows. When you get to the 13th book in a set of beloved series you just can't say much without spoiling SOMETHING and it's always better going in without any kind of spoilers. But what I will say is this book is packed with plot. Despite all that happened, I thought the pacing was excellent. . I once said that The Tales of the Shadowhunter's academy was Cassandra Claire's treat to her fans. Honestly that was a loving collection of stories to all the Shadowhunter things and characters we know and love. 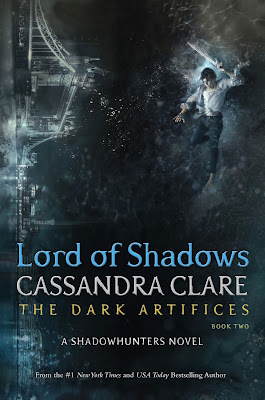 But I'm beginning to think that The Dark Artifices series might be the real treat. We've come so far in this world and each little detail, no matter how small or random, that nods to the stories that came before always send a little thrill through me. That thrill of knowing. . I have only one complaint, and in just over 700 pages I think that's pretty good. Haha. MESSAGE ME. No spoilers in the comments. .
Needless to say, I'm dying for the following book. Ugh. It was so so good for my heart to be back in this world. I can't wait to see what CC has in store. Who is your favorite Shadowhunter?